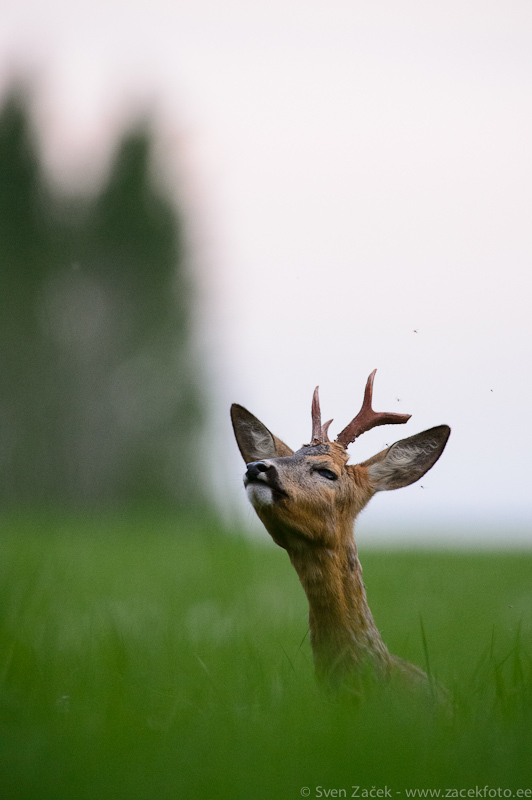 Playing hide and seek with a roe deer is always fun. Most of the times they find a way to get the smell they are after, but sometimes it is possible to position yourself just right and use the landscape and wind to your advantage. Then it is a real pleasure to see a wild animal approach you so close. Very well done, as usual ! I like to photograph these roe deer as well and I really do like your roe deer shots too. Looks like there are a lot of them in Estonia ! I find great fun in photographing these mammals. Wow, the depth of field is amzing here. The grass almost looks like paint. Another great shot on this wonderful site.